Ripping DVD may sound like a complicated task for people who haven’t tried it before. However, with a useful and powerful tool, people who own a large amount of DVDs are able to rip their DVDs to other formats without any difficult. Ripping DVD can be easy and fast for anyone, even if you don’t have any experience before. For people who’ve ripped DVD before, you may have heard of few software, such as AnyDVD. In this article, I’ll introduce a software which can be regarded as AnyDVD alternative. WonderFox DVD Video Converter can be taken as a perfect choice to rip your DVD collection. It’s able to rip DVD to MP4 and various other formats and devices. However, WonderFox DVD Video Converter is also equipped with other features. It’s an all-in-one software to rip DVD, download online video and convert video/audio format. Now let’s take a deep look at the software and see how to rip your DVD and take advantage of other features. First launch the software and you’ll find three choices: Add Files, Download Video and Load DVD. For people who want to rip DVD, just click on “ Load DVD”. After the DVD is loaded into the software, WonderFox DVD Video Converter will read the DVD disc for you with fast speed. After the DVD disc is read, you can find few titles presented in the software. And WonderFox DVD Video Converter will choose the main title for you automatically. Then it’s time for you to choose the output format and device. DVD Video Converter is equipped with numerous video formats and devices. All you need to do is clicking on the right corner of the software, then you’ll find a huge list of formats and devices. Last step is to click on button “Run”, then the DVD will be ripped for you with fast speed. Just wait and see how the result works. WonderFox DVD Video Converter is designed as an all-in-one software. It also allows you to download online video and convert video format. First, just click on “Add Files” if you want to convert video/audio format, and instead just click on “Download Video” if you want to download online video. Converting video format can also be easy here. The most important part is to find the format that you want. WonderFox DVD Video Converter also supports you to convert audio format. After the format is set, then you can click on “Run”. For people who want to download online video, all you need to do is to copy and paste the video URL to the software. 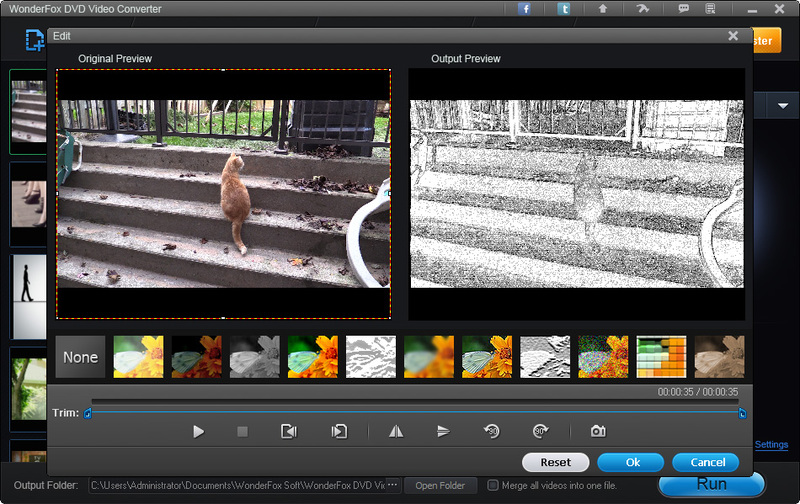 Then the software will analyze the video quickly. WonderFox DVD Video Converter even allows you to edit the output video. You can add subtitles or remove subtitles. Moreover, you can merge multiple videos into one. For example, you can combine VOD files easily. WonderFox is offering a giveaway of DVD Video Converter for Tech Viola readers. Just download the software and activate it with the giveaway license key below. Ensure to activate before March 18th, 2018.